1. 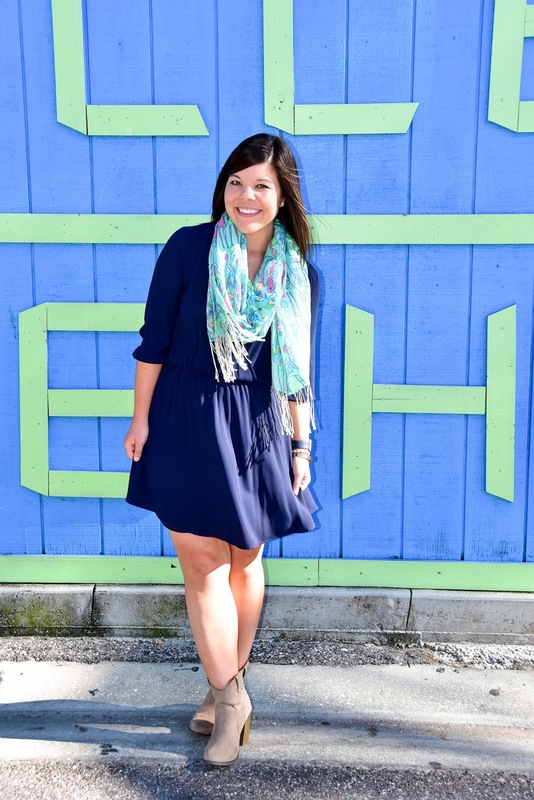 Your go-to dress: For me, this Lush Faux-Wrap dress is such a winner that I own it in three colors! #WishIWasKidding. The faux-wrap front is so slimming and it hits at your smallest part, so trust me when I say that you will LOVE it! Bonus: it’s under $50 and often goes on sale for even less! 2. 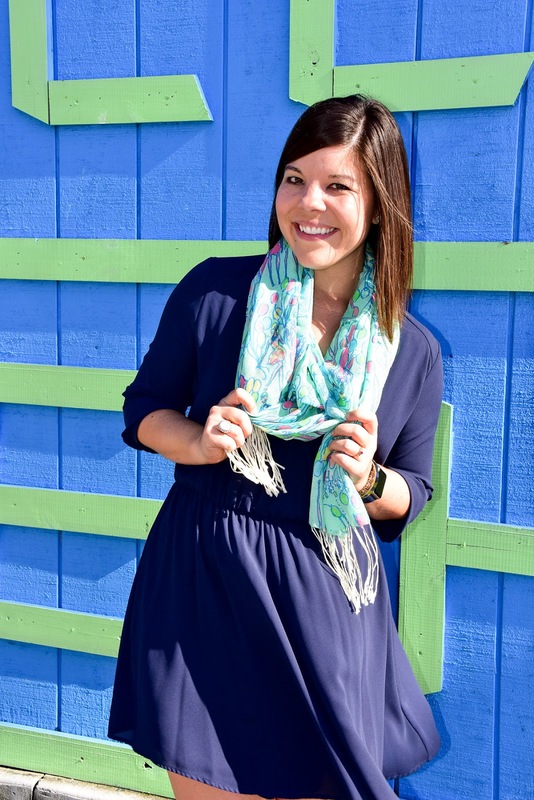 A Colorful Scarf: I adore my Lilly Pulitzer Murfee Scarves because they never fail to add a much-needed pop of color in the fall! 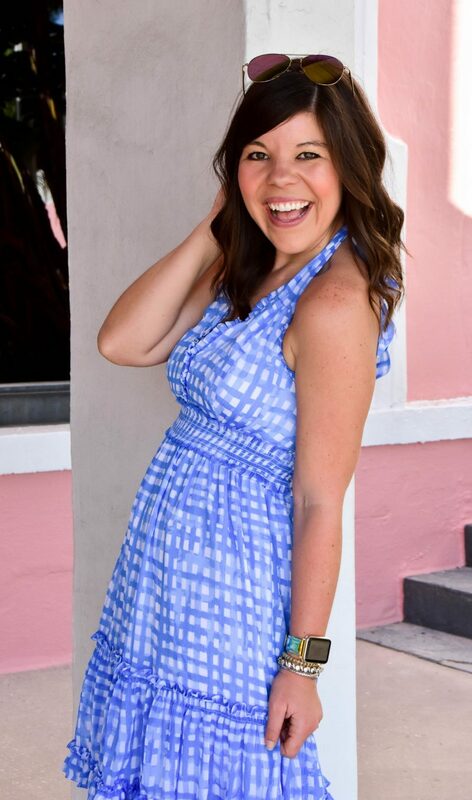 And whether you love a Lilly, or a great plaid, it’s the perfect piece to have on hand to lend visual interest to your look! 3. Sassy Booties: I can’t believe it took me so long to jump on the bootie bandwagon, but ever since purchasing these western booties I wear them way too often (and not apologizing!) 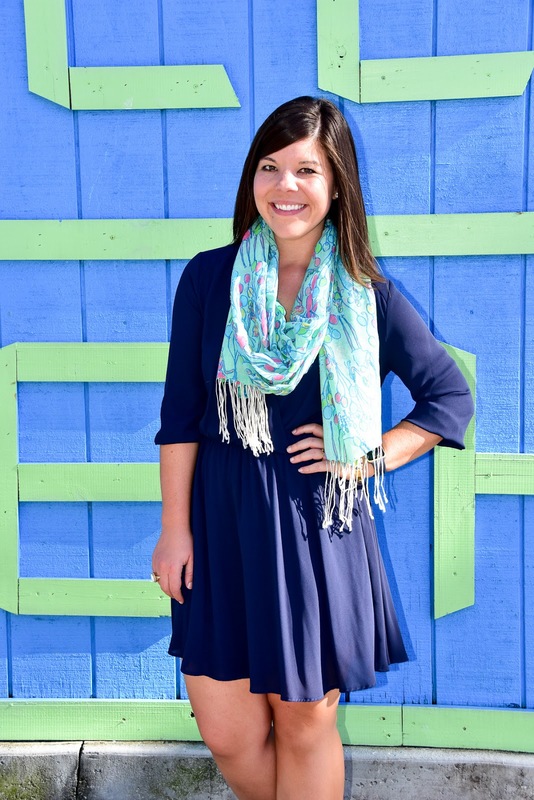 🙂 They are so comfortable for running around all day and adds some much-needed sass to this girly dress! Can y’all even believe how fast this month is flying by?! I’m working on my second gift guide (tune in Friday!) and I keep pinching myself because I can’t believe it’s that time already! What a great everyday look! The Navy with the mix of LP is perfect! Love this dress!! How have I not seen this before?! You're so cute!! 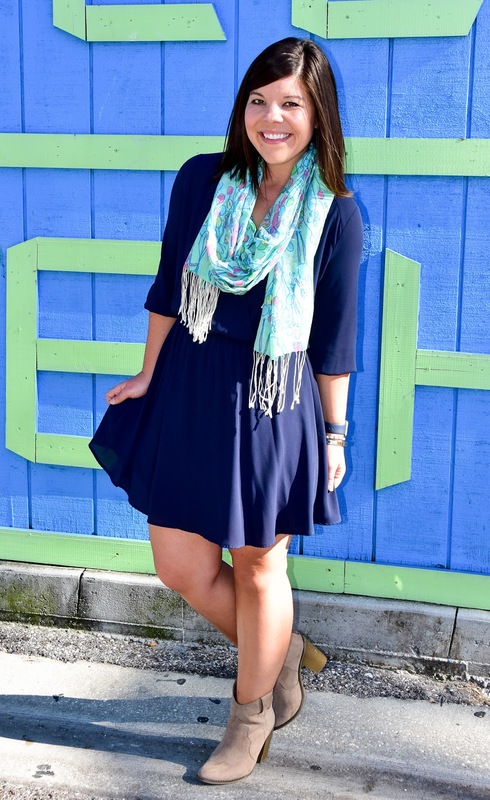 Such an adorable outfit! 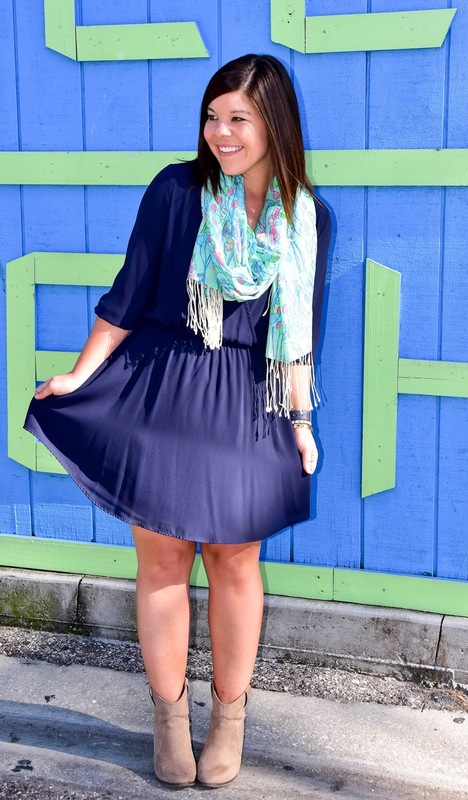 Lilly scarfs are the best way to add some fun color to an outfit! This is such a cute outfit! I love the booties, too. I've been rocking a few pairs this fall & like you, I have no idea why it took me so long to get on board with them! Love!! 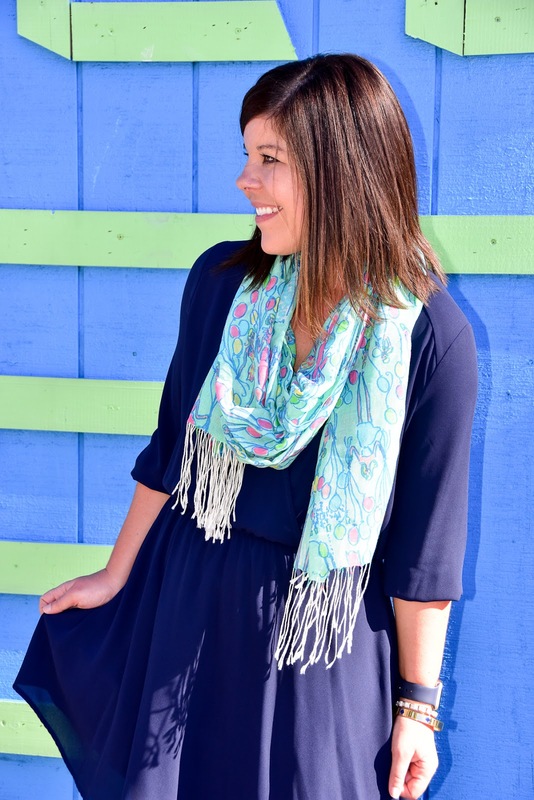 I wish Lilly was a little more fall appropriate up here because I love the scarves and always forget to pull them out of the closet in the spring!